You've made it to our last challenge for WCMD 2018 and I hope you are having a splendid time. I have a different challenge for you which I am calling the Lucky 7 Limit Challenge. What is you may be wondering. Let me explain. 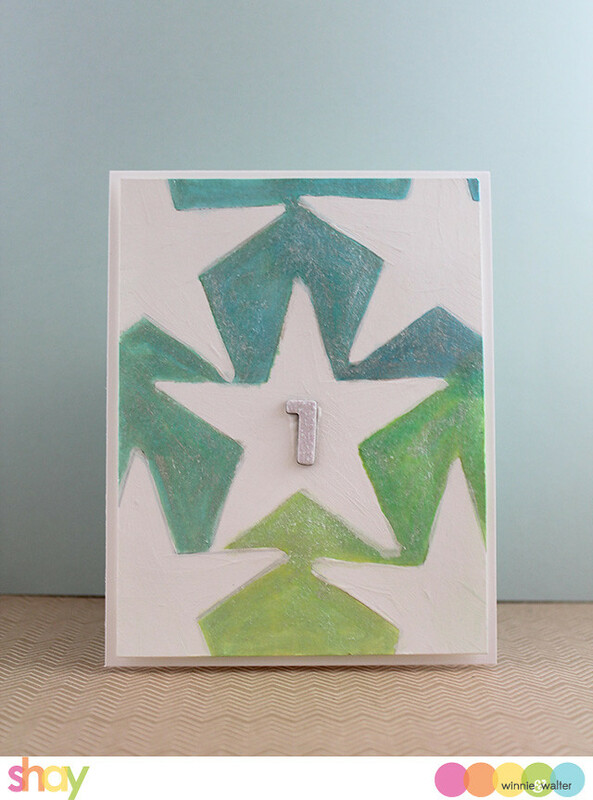 If you choose to take on this challenge you will be limited to a total of 7 colors (yellow would count as 1 color even if you have several shades), layers, products/supplies (patterned paper, embossing powder, stamp sets, stencils, dies, etc.) and embellishments. 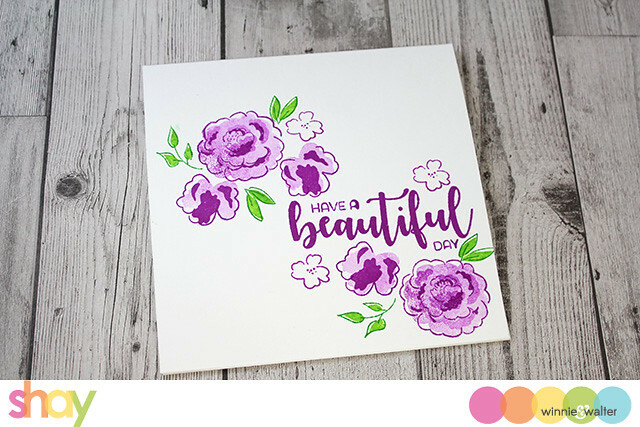 For instance you could choose to create a 1 layer card with 3 products (2 stamp sets + 1 embellishment like enamel dots) and 3 colors. Tools (like a die cutting machine, MISTI, ink blending tool, water, adhesive), inks, cardstock and neutral colors (white, grey, brown and even black) are freebies and do not count towards your 7. I have a couple of examples for you. 1 layer + 2 colors + 1 stamp set = 4! This card uses In Bloom: Ashlee's Posies with Lydia Evans stamp set along with 2 colors of Catherine Pooler Inks: flirty fuchsia and grass skirt stamped on a white cardstock base. Sometimes it doesn't take much to have a pretty card. 2 layers + 2 colors (blue & green) + paint + die cut + glittery thicker = 7! This is a super easy card where I used the solid star from True Multifaceted Star Cutaways to create a star pattern on a piece of a cardstock and then with ink painted around the stars and then painted in the stars with white paint and I also painted on some glimmery paint over the blue and green (I am going to count the 2 paints as a single item: paint lol). Then I adhered the panel to a white A2 piece of cardstock and finished it with a glittery "1" Thicker. I can't wait to see your take on this challenge! This seems like a very fun challenge. I may have to give this one a try! Beautiful floral card! Awesome cards Shay ...bit complicating but I know it's going to be fun..
Fun! 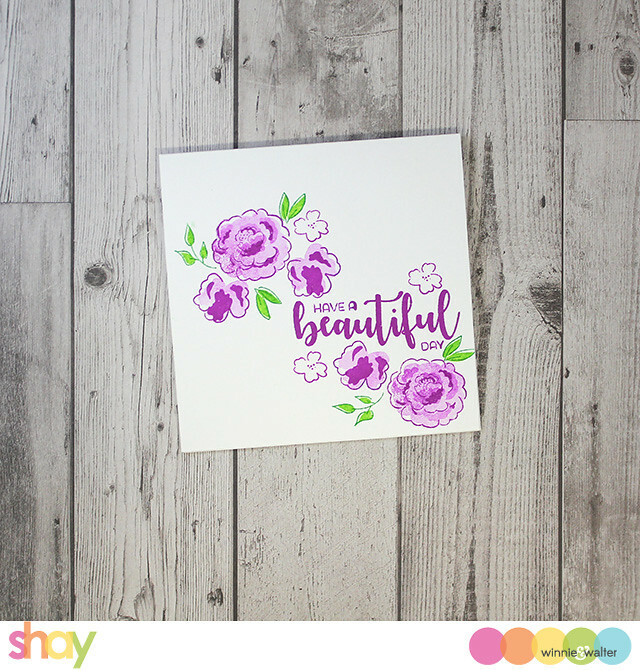 Love that you've used pretty stamping on one card and artsy paint on the second, Shay! Great challenge; sometimes we don't realize how much goes into a clean and simple card. Thanks for explaining how this challenge works, because I have to admit that it gave my brain a workout at first!! Off to see what I can come up with. hmmmm this is certainly going to be a challenge - lol!! This is not easy!! lol I made a really simple card, but it had 8!! Ugh! Well, I had my first fail..ugh. Thought I had 7 items but it turned out to be 8. I see that I'm not the only one having trouble with this, lol! What a unique Challenge and it is indeed a tough one!!! You are so creative and am new to this kind of challenge but you really did a fine job on yours so I will try it with all of your inspiration!! Fun and they turned out so gorgeously!! What a fun challenge, Shay! Beautiful cards and creative challenge..
Love this challenge! Beautiful cards. Thanks for all the fun Shay!!! Very fun challenge when you start thinking about using 7 items layers etc. This was a fun, but a little confusing, so I hope I'm counting things correctly LOL!! This was a unique challenge and the entries are lovely. I just love your amazing floral card. Fun idea for a challenge, but I didn't have time during this busy week to try making an entry. Thanks for all the fabulous challenges and amazing generosity. W&W has THE very best WCMD festivities anywhere on the net!! !